Saturday 17 December 10am – 4pm. 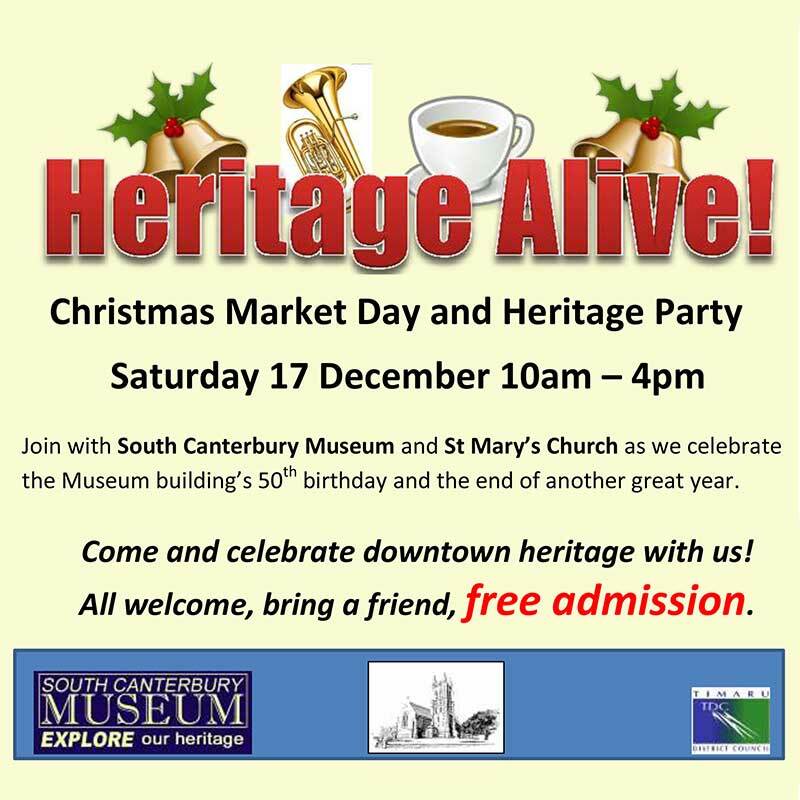 Join with South Canterbury Museum and St Mary’s Church as we celebrate the Museum building’s 50th birthday and the end of another great year. Come and celebrate downtown heritage with us! All welcome, bring a friend, free admission.